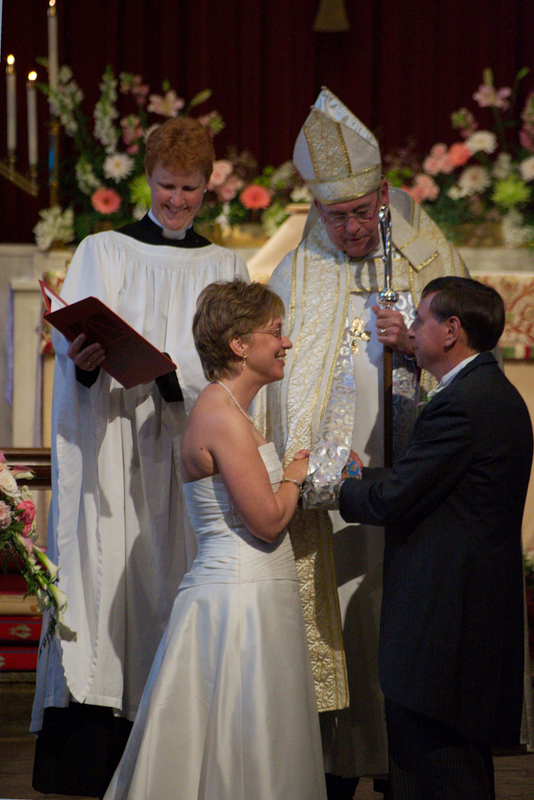 DESCRIPTION: This wedding stole was commissioned by the Rev. Karla Woggon for her own wedding. It was first worn by the Right Rev. John Chane when he presided at the ceremony. It then became part of Karla's personal collection. The face of the stole is hand painted silk overlaid with silver leaf laminated to organza and beaded. The reverse is an original screen print, which includes a portion of the wedding vow. The front represents the dazzling beauty of the wedding day, while the more complex, somewhat rough-and-tumble pattern on the reverse symbolizes the more realistic day to day reality of marriage.